Have you ever picked up your luggage from baggage claim only to fine it torn or ripped or broken? Have you ever started packing to go home and found a broken zipper? Have you ever stayed in a cruise stateroom or hotel room where the curtains just won’t close completely? Or worse, have you been heading out for an evening on vacation only to find the hem in your skirt ripped? Duct tape is the traveler’s friend! Throw it your carry on for a quick fix for any of those scenarios or hundreds of other situations that require a quick fix! Plus, when using it on your luggage, it helps you identify your bags on the conveyor belt. 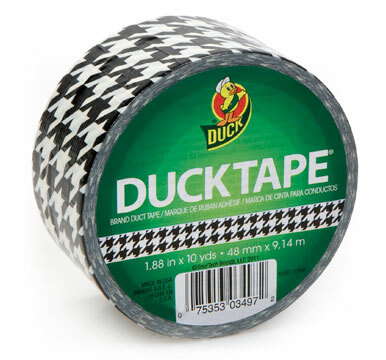 Duck brand duct tape now comes in a variety of cool colors and prints and can even be found at your favorite craft store! You could even create a cool flag to hang on your door or window to help you remember which room is yours. 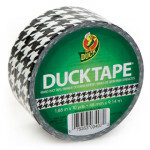 And duct tape comes with college logos so you can show your school pride!